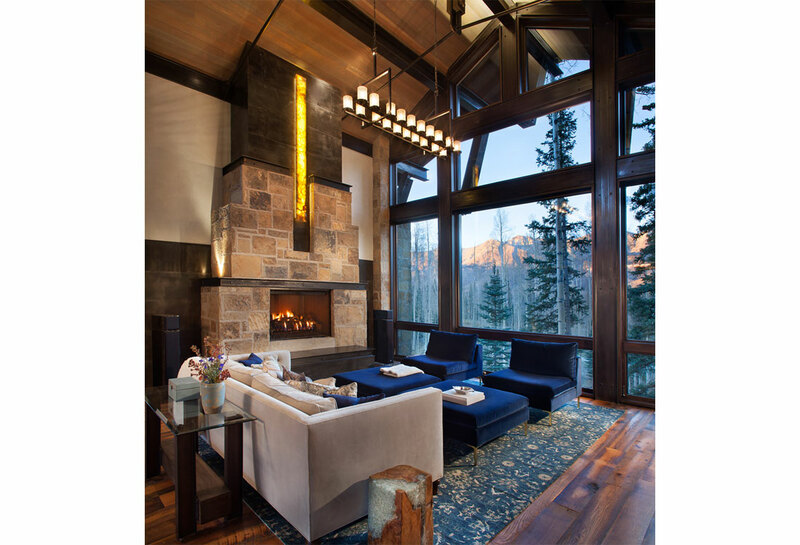 Nestled in the surrounding hillside of Telluride Ski Resort, this mountain home was born from the idea of integrating a home in to it’s site and having it interact with the natural vegetation and impressive circling views. 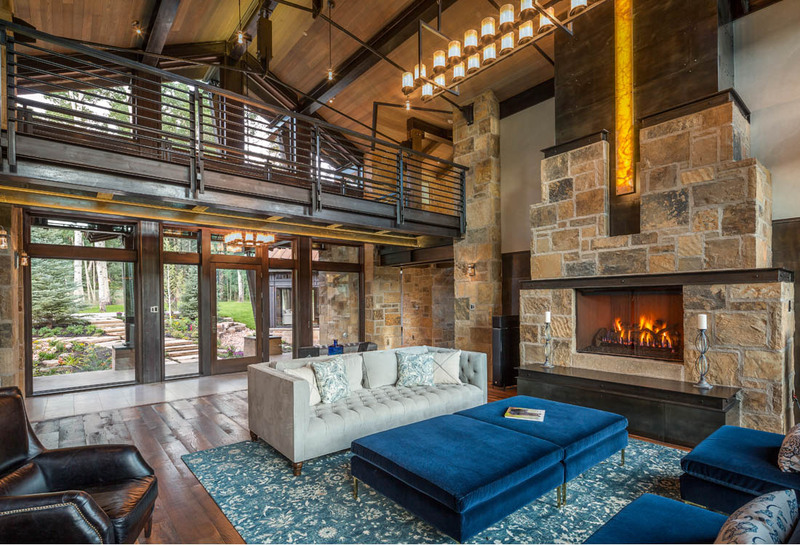 This did not come without design challenges, but the result was a rustic modern structure clad in steel, glass, wood, and stone. Floor to ceiling glass walls lend to breathtaking views of Mount Emma, Dallas, and Iron Mountain. Transparency through the structure was very important to the clients as it allowed them to feel apart of the natural environment. You can see through the formal entry through the great room and out the back of the house. 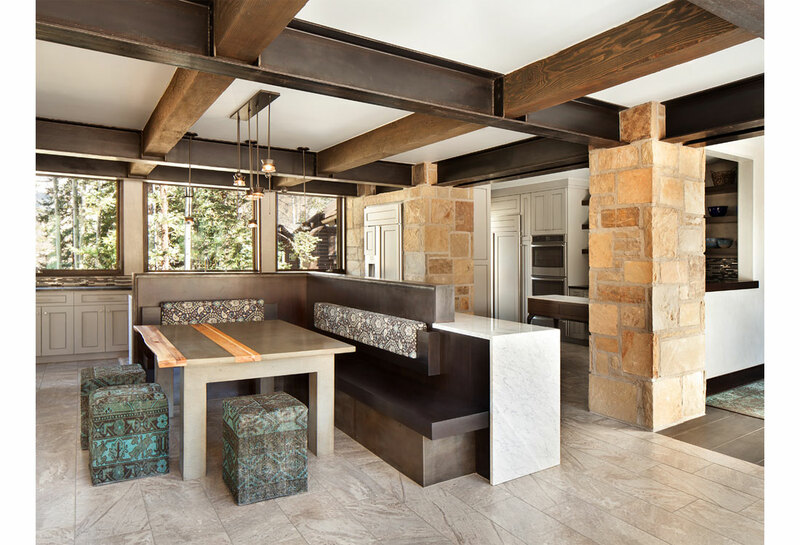 This created a spacious feel to the already open floor plan of the great room, dining room, and kitchen. 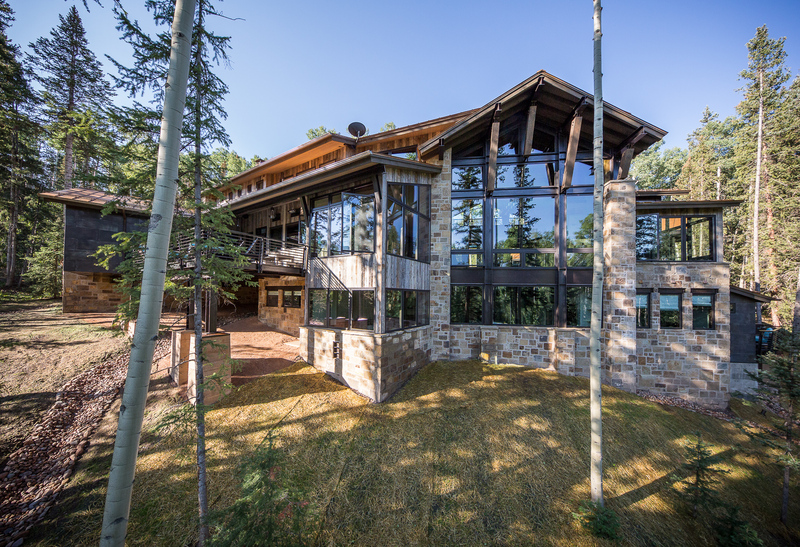 To strike a balance between rustic and modern, Centre Sky Architecture targeted a few key elements. 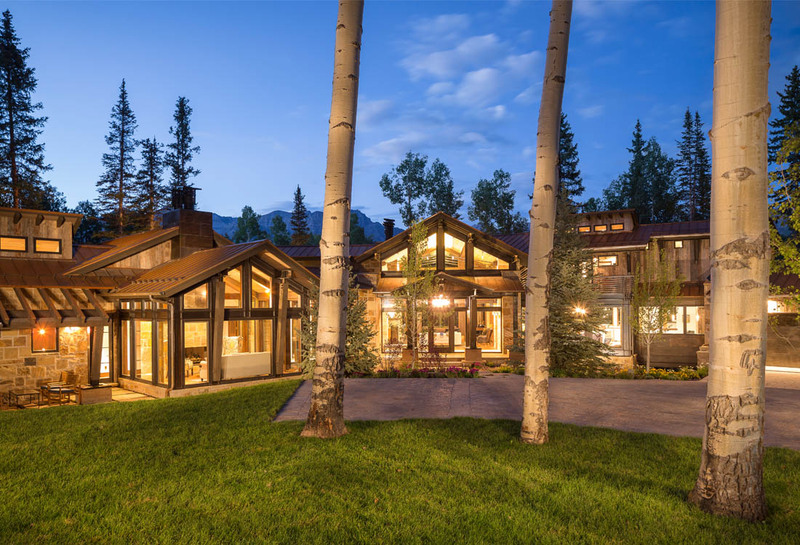 The rustic thick grouted stone siding, weathered wood siding, and a continuous rusted metal roof all add a warmth that blends into the alpine environment. These elements accompanied by clean lines, steel beams, and lots of glass allow for a balance that fits comfortably into the landscape. View this drone video of the home HERE.